Thank you very much for your prompt and helpful response to my recent query concerning the purchase of a second-hand Jaguar F-Type S coupe. I have one further question, which I hope you can help me with. This particular model has an automatic gearbox with additional sequential and paddle shift over ride. As it is a 2 pedal car, can you tell me how during a test assessment one can determine the likely state of wear in the clutch - usually an easy matter with a manual box and clutch pedal? The AdBlue heater failed at 47,000 kms on our 2012 VW Sharan 2 litre 138bhp Bluemotion 4motion. Cost of repair: £700, local VW garage asked VW for a contribution for repairs as they found it was not normal it should fail soon. VW refused. The garage gave £250 on future servicing. I think they were genuinely embarrassed. In general it is a great car. However I am finding long-term diesel is just not worth it financially unless one is a taxi driver. Does buying Japanese make any difference? From a torque point of view and going up steep slopes diesel is worth it, but I am beginning to wonder. I looked this up, found the problem on an American website and will now add to the carbycar entry. You're right. It's just another nail in the coffin of private diesel vehicle ownership. I've been warning diesel owners of the high cost of replacing EGRs, DPF, DMFs, etc., and this is yet another. The answer seems to be petrol hybrids where the combination can provide the torque needed to propel a heavy vehicle economically without the NOx emissions of a diesel. I got 35.8mpg out of a Volvo XC90 T8 plug-in hybrid without ever plugging it in, so I'd expect 40mpg plus from average use and a lot better on short runs where the car had been plugged in: /road-tests/volvo/volvo-xc90-t8-2016-road-test/ Real MPG is showing an average of 32.1mpg for the XC90 D5 diesel and 41.4mpg for the XC90 T8 PHEV. Only 31.9mpg for the Lexus RX450h, though, where I'd have expected more like 40. Nothing yet for the BMW X5 40e. Buying Japanese doesn't get you a better diesel. It should get you a better hybrid, but we don't have the evidence yet. Next week I am to test-drive a Volvo V40 T2 Momentum as I am looking for a replacement for my 130,000-mile 2003 Volvo S40. I would welcome any feedback, especially over concerns such as engine issues (cambelts, gearboxes) or uncomfortable rides (affected by wheel/tyre size etc) or unreliability and expensive repairs. I understand that the petrol engine model is twin scroll turbo but as I prefer a petrol engine to diesel I am concerned that this engine is relatively new and I could therefore wait a while until further experience is known. Should I? If the V40 Volvo has any of the aforementioned issues could you suggest some other cars I might look at (including crossovers) up to the £20,000 mark? I do about 20,000 miles per annum but as some of these trips are to our local town (<5miles) I do not want to consider a diesel; the other mileage is achieved by longer trips to relatives in Wales and Scotland (return trip 400 miles) once every 6 weeks. I have a Passat now 'fixed' by VW. There is a website asking VW owners to register with them to seek compensation on a no win no fee basis. Should I sign up to it? Maybe you have an alternative recommendation? There are a bunch of these class actions. The loudest is an outfit reckoning on making a fortune (30%) out of the issue. Others are more subdued. My view is that if you have had the 'fix' and your car is not performing as it should be, or if the fix has caused something else such as the EGR to fail (and the car is under 80,000 miles) then you are entitled to seek to compel VW to restore its performance it at no cost to you. If the car is performing fine after the emissions fix then VW has no case to answer. You might be able to get a local garage or Jaguar specialist to take the radiator out and send it away to be repaired. 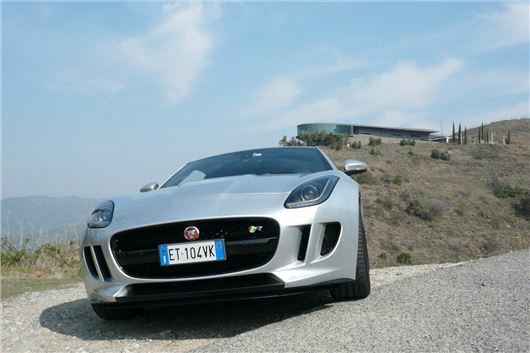 The car is too old to be spending Jaguar dealer prices on servicing and repairs. I am now 75, an older marine engineer. I have sailed with steam and diesel motorships in my time, and surveyed many of them. I find the latest damnation of the diesel engine-green emissions confusing. Most engine builders design and calculate optimum combustion ‘Adiabatic’. A diesel engine big or small (Cathedral type or a car/lorry) likes hard work, and when on full power it is no worse than a petrol engine for emissions? I cannot work out who has done a disservice to this design of engine? And I feel a lot of noise goes to some sort of trait or fashion to belittle such a useful tool/piece of equipment. A barrel of crude oil has many properties, so if we do not utilise all the grades of fuel, how do we with efficiency remove the mainstream product gas oil/diesel in all its grades, which are refined as we produce petrol, and bitumen at the other end. An internal combustion engine with self ignition, rather than spark ignition, can be utilised to burn many a heavier fuel, than avgas, petrol, methane etc. very efficiently. Answers on a postcard? The problem is not diesel-powered ships (apart from diesel powered cruise ships), diesel powered trains or diesel powered HGVs. It's diesel powered private cars. No one needs them and the NOx they put into the atmosphere in cities harms people's health. Not that emissions in cities have not been harming people's health since Victorian times and not that smokers have not been harming their own health for hundreds of years. But we simply don't need diesel cars. So they are a fair target. My aunt coming up to 98 has decided not to renew her driving licence so that means I have a 2005 Ford 1.3 KA to sell for her. It has done 8,500 miles, has four new tyres and battery, 12 months MOT, serviced from new by the local Ford dealership, and garaged all its life. Wewantanycar.com has offered £99. Can you please advise me of its real value? That's an ironic default offer and means, for some reason, they don’t actually “want” the KA for Manheim auction stock, possibly because the margins on it are too low. Our system comes up with £700 to £1,150: /used-prices/Ford/Ka/2005/ You can make it more accurate by keying in the registration and the mileage. I am a 60-year old lady wanting to buy a small SUV. Reason: 2 dogs and a husband with 2 hip replacements, so needs level access. There is a lot of choice, but which are the best? I want, nearly new, automatic, and ideally would prefer petrol, as I am only doing about 3k per year. My budget is tops 15k, with a trade in on a Vauxhall Meriva. Also, when is a good time to buy, now or wait for the new registrations in March? If you can put together £20,000 then your best bet is a Peugeot 2008 1.2 PureTech 110 EAT6. (You can probably get one for £17,500.) If you can't, then best for £15k is a Honda Jazz 1.3iVTEC CVT-7. A bit slow, but very economical, very spacious and versatile inside and very reliable. We have a more powerful, older version with a different automatic transmission in Thailand and, though it rides hard, it's brilliant. I have been reading your reports on the Mazda 6 and it looks impressive. I cover about 35k miles a year and like to keep my cars for five years, if possible. I normally only have manual transmissions but from a purely mechanical reliability angle, would you think it could be more cost effective to go for an auto so there is no clutch or DMF to go wrong? Or do autos have their own issues once the mileage starts to pile up. Also, which spec level on the 2.2 diesel Mazda 6 do you reckon offers the best trade off for equipment and price. The Mazda 6 has a 6-speed torque converter auto and I've never, ever heard of any problems with it, though obviously a transmission service and maybe a fluid change at around 100k miles would help. The 17-inch wheels with 55 profile tyres give a softer ride than the 19s, and that's what you get on SE-L Nav. But the Sport that only comes on 19s (unless you do a switch) has the advantage of adjustable lumbar support and you're going to need that for 35k miles a year. May I please ask your advice about a problem with the DVLA? Two days ago I received a letter from an enforcement agency acting on behalf of the DVLA saying I owed £80 for an offence committed on 1 Sept 2016. This letter was sent to the wrong address but was delivered by hand late in the evening. I phoned DVLA who said I had not replied to their letter last year about taxing the car, hence the fine. My Picanto is VED-exempt so there was nothing to pay, but they say I should have returned their form. The DVLA also had my address incorrectly, hence my not receiving their letter, and it is seems clear that the dealer from whom I bought the car is at fault here when he sent them the relevant paperwork. I paid the £80 over the phone to get the debt collectors off my back, in view of their unpleasant letter, but it seems unfair to penalise me for something I knew nothing about. I would appreciate your advice here, please. Do I just forget it or should I complain? Even though there is no annual tax to pay for your car, the VED return needs to be made every year and the reason why it hasn't been is because they have the wrong address for the registered keeper. So find your V5C registration document and check the name and address on it. If it is wrong, correct it, keep a photocopy, and send it to the DVLA. If it is correct, then demand the refund of your £80 and if it is not forthcoming, take the DVLA to the small claims track of the County Court for its return. I am looking to replace my wife's Megane Coupe-Cabriolet, later this year. Who are still producing this type of car as I was hoping to purchase the same type? The Volkswagen EOS and Megan Coupe- Cabriolet do not now seem to be in current ranges. We were looking to spend up to £25,000. What are the options, or are VW or Renault likely to make a new version of these? We are not keen soft-top convertibles. The fashion for this type of CC is dying out, though BMW still makes a 4-Series CC. VW had a problem with sealing the multi part roof of the Eos. Ford, Renault, Peugeot, Mitsubishi, Nissan, Volvo all seem to have given up CCs. Mercedes still does the SLK 2-seater that revived the invention, first seen on the 1934 Peugeot 401 and later on the 1957-59 Ford Fairlane Skyliner. My daughter was involved in a slight collision on a single-track lane whereby wing mirrors clashed and no further action was taken at that time. It seems though that the other party has gained her insurance details and, after six months, her insurer has informed her that the other party is claiming for a repair in the region of £500. The damage to my daughter's car amounted to a slight scratch. She has been advised by her insurer that she should pay the other party's damage and the other party hers. Alternatively she would be required to attend a court hearing and she as claimant would need to prove her claim and allegation against the other driver. I should be grateful for your advice on what course of action to take. Yes, push it to a court hearing where she states that both parties agreed the damage was insignificant and should be treated as knock-for-knock. Heavily imply that the other party is simply attempting an insurance fraud money-grab. It's likely that as soon as the other party realises this will involve a court appearance, he/she will relent rather than risk a prison stretch for perjury. I am looking to buy a SUV and have come down to 3 contenders (unless you have better advice): Mazda CX-5, Nissan X-Trail, KIA Sportage. I travel 25,000-30,000 miles per year 70% motorway, 30 % urban. Max £30k before discounts. I occasionally tow a small unbraked trailer. I am thinking of diesel, automatic and with rear parking sensors. What do you advise? Which model in the range? And any other essential extras to accommodate a senior citizen? X-Trails are great but the problem is the Xtronic CVT automatic transmission that is neither great nor reliable. The Sportage 1.7CRDI 2WD gets a dual clutch auto; the 2.0CRDI has a 6-speed torque converter auto. But the Mazda CX-5 2.2 Skyactiv diesel 6-speed torque converter auto, either 2WD or preferably 4WD is probably the best choice. Can be the 150HP. Doesn't need the 175HP. New Mazda CX-5 about to arrive. Another possibility might be a Skoda Kodiak TDI 150 with the new 7-speed high torque dual wet clutch DSG. I have a 2010 Volkswagen Passat Highline 2.0TDI 140. We love the car, which we've had for 3 years, but our mileage now comprises a lot of short journeys, ferrying elderly parents about. How far and how frequently should we drive to avoid clogging the DPF? Is it time to get rid of it? This EA189 diesel will be subject to the VAG NOx emissions recall that may mess up the performance of the car and diesels are getting an increasingly bad name anyway, so if you don't need to do the mileage to keep the DPF clear it's not sensible to drive the car unnecessarily just to keep it clear. I'd get out and into something with a petrol engine. My daughter bought a new Mazda 6 1.8 in 2009. It has now done 80k miles and is now experiencing a problem. I keep checking her oil level and it appears to be using about 1 litre of oil (5w30 semi-synthetic) and yet there are no drips on the ground or under the bonnet and it doesn't smoke. This only started in the last 6 months but I worry that if left unattended she may run out of oil and the engine seize. I have asked at our Mazda dealer who says that some Mazda 6 and 5s are prone to this, especially if driven 'carefully' (they said it is to do with the piston rings) and they have no answer, apart from a new engine. I wonder if you have any ideas or have heard about this problem before. Also with regard to my own car, a 2009 VW Passat R36, with 6-speed DSG, I think in the past you have said this transmission is more reliable than others but is there any special attention I need to give it. I have it serviced by a VW main dealer. The 6-speed DSG in your Passat is designed for maintenance every 3-4 years, which means replacing the fluid and filter and is actually a simpler job than in any other automatic. Nothing can be done about the piston rings in the Mazda. A lot of VAG engines also have this problem. To prevent this they need to be loaded up early in the engine's life. It's possible that a slightly heavier oil than 5w30 might help. Ask the Mazda dealer.